Microscape is a 3-D architectural scale model of Manhattan broken into 200 individual streetscapes. Now anyone can own a piece of Manhattan. Architectural scale models of cities, neighborhoods, and building projects have long been reserved for museum exhibits and high-end real estate developers to help people visualize pockets of the world as it exists or to imagine what might be. 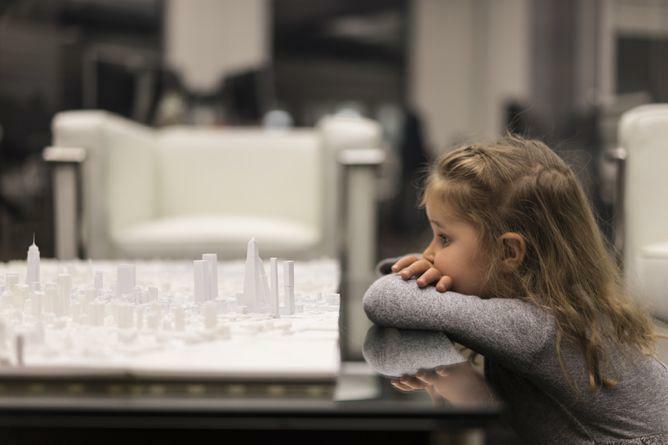 Architects often use 3-D models of existing neighborhoods to project what a new building might look like within the context of current surroundings. William Ngo of architectural design firm TO+WN Design and Alan Silverman of visualization firm AJSNY have collaborated on Microscape, a new project that makes those lust-worthy museum-quality scale models more accessible. The project is raising funds on Kickstarter, where it has already surpassed its goal. Ngo told me in an email that building “context models” has been a regular part of his work over the past decade. 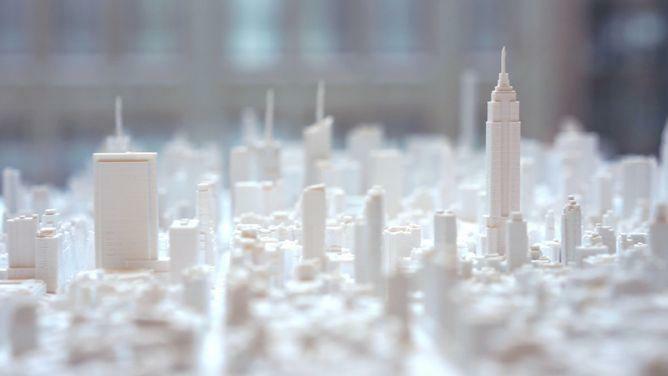 He said he had built essentially the entirety of Manhattan and substantial parts of many other cities, updating those models repeatedly as cityscapes evolve. “It was people coming through the office from outside the world of architecture and design, seeing our early wall decoration city model prototypes and gushing over them that made us realize these may have wider appeal as smaller, ‘bite-size’ chunks of an overall cityscape,” Ngo said. He added that he and Silverman hope to eventually offer Microscapes of anywhere in the world—meaning you could own a miniature model of your favorite corner of Paris or your childhood neighborhood in Duluth. 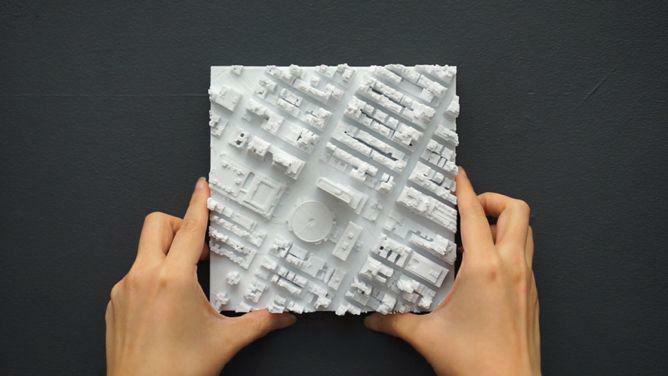 For now, they have managed to produce 200 individual streetscape tiles of Manhattan, using detailed 3-D scan data and manual computer modeling techniques to create accurate, up-to-date scale models of the city. For those with deep pockets, the entire island of Manhattan can be purchased for the relative bargain of around $25,000. But the individual tiles (starting at $75 on Kickstarter) are also produced to work as stand-alone decorative pieces for those with more modest budgets. They can be hung on the wall or perched on a shelf or coffee table. Ngo said that if there is widespread interest in the Microscapes, he hopes that they will be able to offer them at more affordable prices as they refine their manufacturing process and 3-D printing technology and materials evolve. 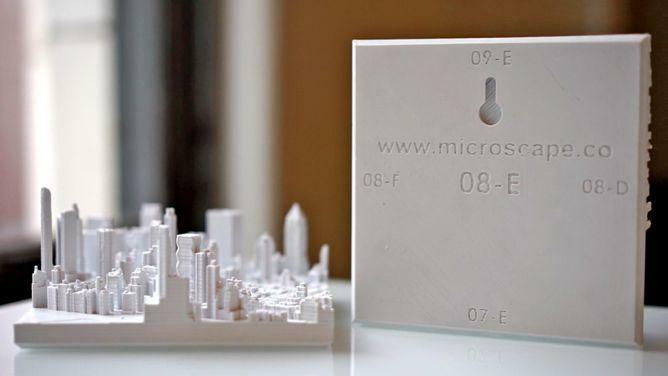 Each individual 6-inch by 6-inch square tile is a 1:5,000-scale replica that captures roughly a half square mile of New York City, 3-D printed from up-to-date aerial scan data that can evolve as the Manhattan skyline morphs. Because the designers manually process the data, they can also include buildings still under construction or in the planning stages. A series of limited-edition tiles produced for the Kickstarter campaign include the area around the World Trade Center, the Chrysler Building, Madison Square Park, and other well-known sites that fit into the overall city model for those who plan to go all in or assemble pieces of the city over time. The tiles vary in height from 1 inch to 5.5 inches, weigh between 5 and 10 ounces, and are made of nontoxic, cornstarch-based, biodegradable white thermoplastic. While the designers are open to offering additional color and material options in the future if the demand is there, for now the Microscapes rendered in white have a pleasingly abstract quality that is reminiscent of New York City after a blizzard.